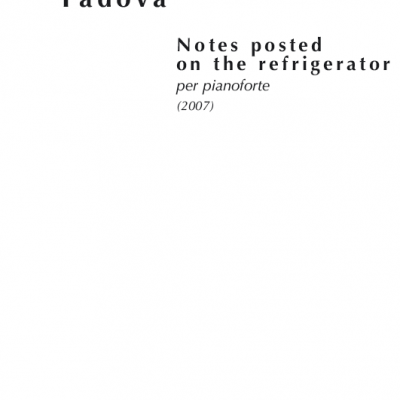 The Italian composer and pianist Andrea Padova was born in 1962. He studied Piano with Vincenzo Vitale, Aldo Ciccolini, and Eric Larsen, and Composition with Gino Marinuzzi, Aldo Clementi and Aldo Donatoni, obtaining his Master Degree in Composition at the Accademia Nazionale di S.Cecilia in Rome. In 1988 he was awarded a fellowship by the French Cultural Ministry, which gave him the opportunity to take part in the Masterclasses of Pierre Boulez in Villeneuve-les-Avignon, while attending also Computer Music courses by Andrew Gerszo. At the same time he has been selected as a soloist for the concert dedicated to Pierre Boulez broadcasted by Radio France. 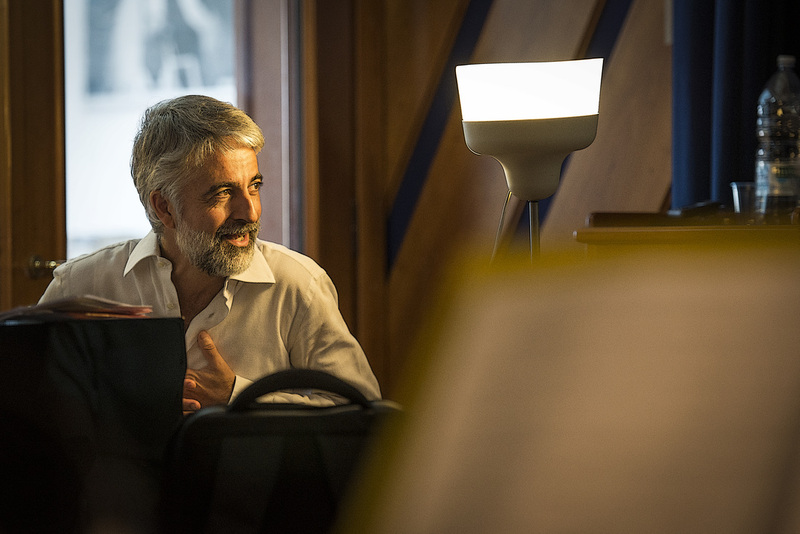 He is a prize-winner of several international composition contests: Wiener Wettbewerb für Neue Musik, “Alfredo Casella – Accademia Chigiana di Siena”, “Wiener Masters”, “New music for ancient instruments”, “Camillo Togni”, “Gino Contilli”, “Città di Pavia”, “Ennio Porrino”, “Gianfrancesco Malipiero. As a pianist, deeply involved in xxth century music, he collaborated with famous musicians, among which Pierre Boulez, Leonard Bernstein, Goffredo Petrassi and Franco Donatoni and commissioned several piano works to many Italian and American composers. Andrea Padova’s works (published and recorded by BMG-Ricordi, Edipan, and Stradivarius) have been performed at the Weill Hall at Carnegie Hall, United Nations Auditorium, Merkin Hall, Wiener Festival für Neue Musik, “Harp Music Festival” in Nürberg, Accademia di Santa Cecilia in Rome, “New Italian Music” Festival in Rome, Elettroacoustic Music Festival in Cagliari, Ancient Music Festival in Urbino, “New Music” Festival in Cagliari, Altoona Symphony Orchestra, Bari Symphony Orchestra, the Lecce Symphony Orchestra. His first compositions (’86-’98) are largely based on techniques related to combinatory and enigmatography. After 2000 he developed a personal compositional technique based on “virtual polyphony”. More recently his works reflects also his interest in the music of other genres, styles and cultures, both for the different harmonic and rhythmic elements and the philosophical aspects related to the conception of the time. 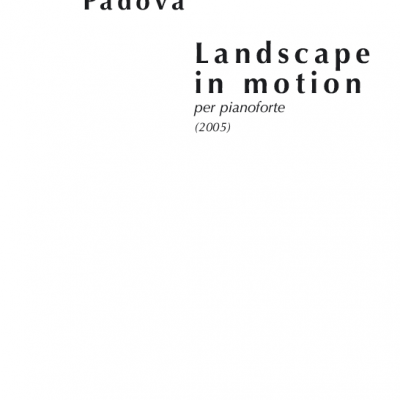 In 2008 he was awarded the prestigious “Insound Prize” with this comment: “Andrea Padova is the best example of a musician capable of looking beyond conventions and traditions; he’s open minded but with a great skill in discriminating, quality that makes him one of the most interesting figure of the contemporary piano scene”. Reviewing his “Preludes & Interludes” the Examiner recently wrote: “Padova’s inventive voice is decidedly his own. Pleasently intriguing”.